Vitamin Supplements Overlooked for Brain & Heart? What are the best vitamin supplements for immune system health? Want the best brain health supplements? Here's new discoveries of immune vitamins and brain health supplements to protect against vascular dementia, coronary heart disease, heart attacks and even congestive heart failure! Did you know there is new research showing vitamin D3, and vitamin K2 -- to be even more powerful “players” in preventing the serious diseases of our time -- from osteoporosis to cancer, but especially, strokes, a heart attack and vascular dementia? Both vitamin K2 and vitamin D in foods, and in the best vitamin supplements, say researchers, have a much bigger role than ever imagined -- as immune vitamins and for preventing vascular dementia. Vascular dementia, they are finding, is related to calcium build up in the blood vessels, but this can now be prevented! You'll want to find out how vitamin K2 clears calcium from the arteries! And, that it's not vitamin C, but Vitamin D, that is the most powerful of vitamins for immune system strength! 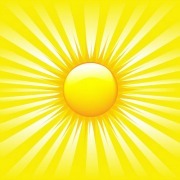 Is Vitamin D the most overlooked of vitamins for immune system? 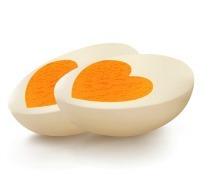 Can Vitamin D3 & Vitamin K2 STOP Heart Disease, Vascular Dementia? Help calcium build strong bones, and STOPS CALCIUM FROM ACCUMULATING IN THE ARTERIES: Vitamin K helps out in the arteries by reducing the amount of calcium in the arteries feeding the heart. Hardening of the arteries is caused when calcium enters the arteries, and lesions are formed that lead to the degeneration associated with heart disease. Vitamin K (the anti-clotting vitamin) is found in green leafy vegetables, especially in spinach and kale, broccoli. But vitamin K2 is found in cottage cheese, the Japanese natto kinase and the Dutch cheeses, Gouda and Edam. Researchers from Leiden, the Netherlands, found that people eating 1 oz of Dutch cheese a day lived on average 7 YEARS LONGER than those eating little or no cheese! That is astounding for one single thing, and they figured it to be due to the vitamin K2. The research about vitamin K2 is very new, and is showing an important role in keeping blood vessels flexible -- stopping the HARDENING of the arteries. Your doctor likely does not know about this research, so you may have to connect the dots yourself! Why Vitamin K2 & Vascular Dementia Treatment? 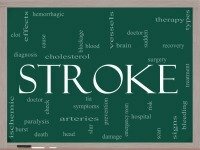 Researchers are finding that the build up of calcium in the blood vessels throughout the body, is predictive of vascular dementia and of the risk of a stroke. Unfortunately, the greater the build up of calcium outside of the brain, the higher the risk of changes in the brain that are associated with vascular dementia or with a stroke. In fact, they found that the amount of calcium build-up told them more about brain changes, than the traditional method, which uses ultrasound to measure plaque in the carotid artery. 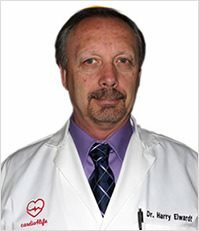 “Though far away from the brain, calcification in coronary arteries may indicate the presence of subclinical brain disease as well,” according to the study author, M. W. Vernooij, M.D., Ph.D in Arteriosclerosis, Thrombosis and Vascular Biology: Journal of the American Heart Association. Why May You Not Be Getting Enough Vitamin K? 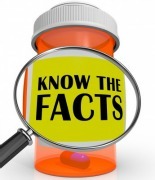 Most healthy adults in the USA have undiagnosed Vitamin K2 deficiency. Why? The production of vitamin K2 is suppressed by Cholesterol lowering drugs -- statins such as Lipitor and Zocor. The commonly used anticoagulant drug coumadin (Warfarin) interferes with the metabolism and function of Vitamin K by inhibiting the enzymes needed to produce Vitamin K2. This drug can produce excessive bleeding and produces progressive widespread calcification of arteries and the aorta. Hydrogenated oils in margarine and baked goods may stop the proper utilization of vitamin K2. Antibiotics destroy intestinal flora, which are the source of making vitamin K2. A clinical study from Rotterdam, Holland revealed a correlation between long term adequate Vitamin K2 intake and a lower incidence of calcification of the wall of the aorta. Arteries with no plaques have a 20 to 50 fold increase in Vitamin K2 concentration when compared to arteries with arterial plaques. The high K2 content arteries were noted to be more flexible and elastic than arteries lacking K2. A protein called osteocalcin transports calcium to bone. Vitamin K2 (menaquinone-7) is used to solidify this calcium into the bone matrix. When Vitamin K2 is lacking the calcium remains in the blood and ends up getting deposited in the walls of arteries and other sites which is very undesirable. Thus Vitamin K2 becomes a critical nutrient for both bone and arteries. Dr. Leon Schurgers and Dr. Cees Vermeer of Maastricht University in Holland studied 4800 elderly Dutch men and women to ascertain whether Vitamin K2 could help prevent artery calcium deposits. They learned that persons with the highest dietary intake of K2 (primarily originating in low fat Dutch cheeses Gouda and Edam) had the least evidence of calcification of the aorta when compared to persons with low Vitamin K2 intakes. The higher the intake of these cheeses the lower the mortality from cardiovascular disease. The fermented soy Japanese food natto contains Vitamin K2 in large amounts. All of the Vitamin K2 produced in making the enzyme nattokinase is available as food and vitamin supplements. The researchers stressed the importance of this vitamin, pointing to a deficiency as the "prime contributing cause" for arteriosclerosis and osteoporosis fractures. Warfarin Causes Calcification of the Arteries and Aorta? The commonly used anticoagulant drug warfari, or Coumadin, interferes with the metabolism and function of Vitamin K by inhibiting the enzymes needed to produce Vitamin K.
Not only can this drug produce excessive bleeding, but it also produces progressive widespread calcification of arteries and the aorta. How? The clinical study from Rotterdam, Holland revealed a correlation between long term adequate Vitamin K2 intake and a lower incidence of calcification of the wall of the aorta. Arteries with no plaques had a 20 to 50 fold increase in Vitamin K2 concentration when compared to arteries with arterial plaques. The high K2(menaquinone-7) content arteries were noted to be more flexible and elastic than arteries lacking K2. Pass the Cheese & Brain Health Supplements! Regular intake of Vitamin K2 from vitamin supplements made from natto kinase, or eating Edam and Gouda cheeses should prevent the development of arteriosclerotic plaques and thus be able to prevent disability and deaths from arteriosclerosis. Taking a slice of these cheeses daily is a pleasant good health habit if you prefer not to take extra vitamin supplements. Eggs have some vitamin K2 if the chickens were out in the sunshine! Low Vitamin D3 & Unpredicted Heart Attacks! Heart attacks and congestive heart failure have now been added to the list of diseases linked to low vitamin D3. Researchers say that low vitamin D3 seems to explain the trend in strong seasonal fluctuation in heart attack incidence – it rises during the winter months, and is more prevalent in northern countries. Scientists believe that this may explain why people with no risk factors such as smoking or high blood pressure, suddenly, inexplicably develop heart attacks. Researcher Dr. Edward Giovannucci believes that vitamin D may be beneficial by reducing the buildup of plaque in arteries, one of the causes of heart attacks. Moving from the low category of vitamin D3 to sufficient, would in Dr. Giovannucci’s estimation take 3,000 IU of vitamin D supplements daily. Vitamin d supplements, with at least 1000 IU of vitamin D3 are definitely recommended if you do not get into the sun every day! Best Vitamin Supplements to Protect you NOW? Taking vitamins for immune system health will take time to build up, so get tested for deficiency if you think you may need a therapeutic dosage of vitamin d supplements. But there is good news for the immediate! Researchers found that taking natural vitamin supplements was protective even after people ate one “bad” meal! They found the harm of eating fatty and sugary foods could be counteracted after a meal -- by taking extra vitamin C and vitamin E vitamin supplements! Researchers gave people cognitive tests, and found that after eating fatty and sugary foods, people, especially diabetics, suffer memory lapses -- for one to three hours after eating a high-fat, high-sugar meal. But when they gave people 1000 mg of vitamin C and 800 IU of vitamin E, this impairment of mental function was NOT evident when measured on their cognitive abilities after such a meal. It does take years a poor diet to show its ill effects on the brain, but researchers are finding plenty of evidence that the quality of diet that someone eats is an important DEMENTIA RISK FACTOR! This research on memory loss and brain health supplements was lead by Dr. Carol Greenwood. In spite of these findings, the researches stress that people should not be relying on supplements to compensate for a bad diet. Why? By adding cottage cheese, hard cheeses like Gouda cheese or a vitamin K2 supplement, you are on your way to a heart disease cure, at least for a serious heart disease symptom like calcium build up in the arteries. Clearing the arteries of calcium for vascular dementia treatment will take time, but preventing vascular dementia is worth taking natural vitamin supplements for! We hope that you have found our articles on brain health supplements -- best vitamin supplements for vascular dementia, and immune vitamins, of help! For research on therapeutic vitamin d supplements dosage.